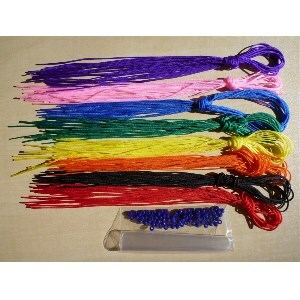 *Currently we have a few of the standard length black strings ~50cm. If you prefer the standard string please select Black (S). SKU: n/a. Categories: Accessories, Ozora (Yamagata Koubou), PARTS - bands, bearings, carabiner clips, strings, etc..